Often our clients ask us how to train a Pitbull puppy, what kind of equipment is needed and when it is better to start. You can find a lot of information about it in the internet. We offer the key rules, which we hope will help you to grow your Pitbull obedient and more sociable. You should lay a firm base for training your Pitbull. First of all when you take your puppy from a breeder, you should ensure that he will be comfortable and taken proper care of at your home. Get a crate with a blanket or a dog bed in it for the puppy to sleep in and allow him to get familiar with the new place. Next set him on a regular feeding schedule. Most important component in Pitbull training is early socialization. You have to start socializing your dog almost from birth. 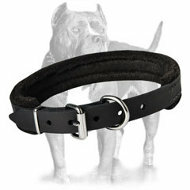 This is an integral part of training and your pooch will become comfortable in all kind of situations. Be sure to teach your Pitbull pup the dog obedience commands early on. Start with the easiest ‘Sit’ command then move on to the other commands. Give your pup time to master one command and only then begin with the next one. Be consistent throughout your training session. Let your dog know that you are not happy every time he makes a mistake. If you miss showing him your displeasure even once, then the next time your pet fails to obey you and gets reprimanded for that your dog will be confused. Carry out your training at the same place everyday. Do not change your behavior too often or abruptly. Staying firm and consistent throughout the training session is the key to training a Pitbull well. Above all, be patient. Although things may not go as smoothly as you hoped it would be, it is still possible to train your dog. You just need to be realistic, firm but gentle, consistent, and always maintain a good sense of humor with your pet. 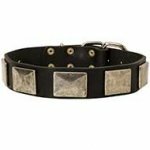 Comfortable leather Dog Harness is best for Pitbull puppy’s growth and development! Little puppies should be taught good behavior in early puppyhood. The bigger dog the more difficult to break him to discipline and extract his inborn excellent abilities. 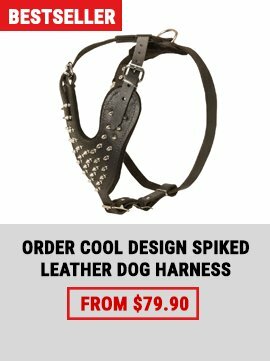 Nowadays more and more dog handlers clearly realize that harnessing is quite necessary for growing young generation. 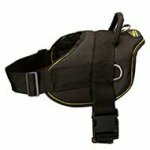 Due to that we are happy to offer you Wonderful Everyday Leather Dog Harness Designed with Puppy Training In Mind. 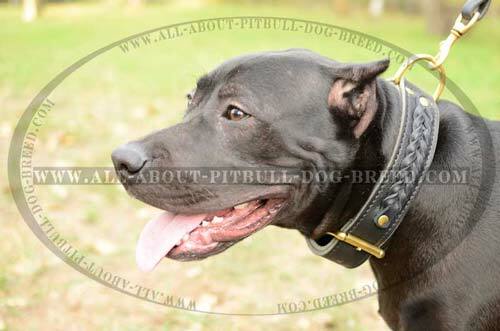 Attack/Agitation Training is a now Happy Trial for your Pitbull! Once you collar him duly you will not have any difficulties in imparting to him necessary knowledge! It is so important for your canine to learn. His education is his start in life – interesting and promising! 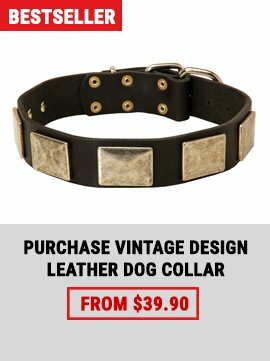 You know, every our dog article is easy to handle and snug to wear! 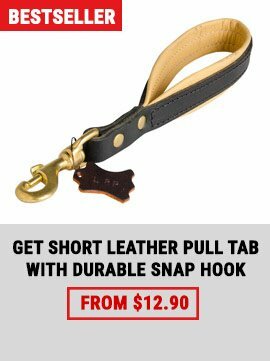 This canine accessory will suit your Pitbull fine – it was constructed from premium quality leather by golden hands of our skilful creators!